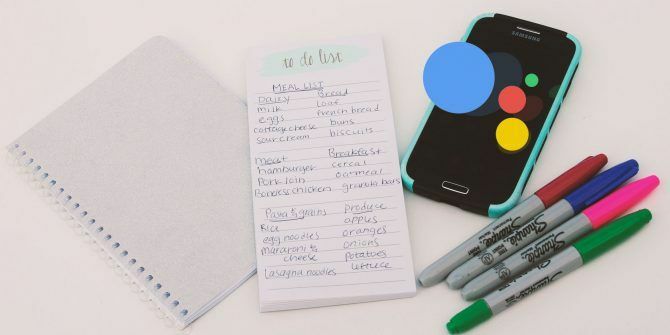 There are plenty of ways to create a digital shopping list that you can take with you to the grocery store, but none more convenient than using voice commands with your Android phone or Google Home device. While you can create lists using your voice, you’ll have to check items off manually in the Google Home app. Tap the check box next to the item you want to mark off. While you can have several shopping lists in your Google accounts, you’ll have to create additional lists in the Google Home App. And you can only add items to one shopping list – your primary list – using voice commands. Under Google Assistant, tap Shopping List. You’ll be prompted to open a new window in Chrome. In the Window that opens up, tap New List. You can enter the name of the list, and optionally, make that list your primary list. Tap the Share (profile) icon. You can scroll through your Contacts to add them to your shopping list, or manually enter their email. They’ll receive an email inviting them to join your shopping list, after which they can add or remove items from the list. And while you’re at it, there are plenty more Google Assistant voice commands and IFTTT recipes worth giving a try! Shopping lists are one type of list you can use to stay connected. Check out other types of lists to stay productive 3 Types of Lists That Actually Help You Be More Productive 3 Types of Lists That Actually Help You Be More Productive To-do lists are the ultimate productivity weapon. These to-do lists could give you all the power you need to get things done. Read More . Explore more about: Google Assistant, . My android phone apps runs automatically as mobile hang problem.suggest me what is problem and what will I do?